Italy has a lesson for Europe: do your homework. The victory of Matteo Renzi’s Democratic Party in European Parliament elections demonstrates that a strong domestic politician can be more appealing than euro-bashing, even in a sickly economy. Before Sunday’s vote, it looked like Italy’s anti-establishment Five Star Movement might be swept forward in the regional tide of discontent. In fact, while populists gained in the United Kingdom, France, and even Spain, in Italy Renzi’s centre-left Democratic Party was the clear winner. It took 40.8 percent of the votes, more than the combined draw of Five Star and Silvio Berlusconi’s centre-right Forza Italia. For Renzi, it is an opportune sign of support. Even if he doesn’t call for national elections right away, he is in a better position to push against left-wing critics in his own party and to pull other parties to back his reforms. Forza Italia will be too busy contemplating its weak showing to offer much effective opposition. David Cameron and Francois Hollande might want to travel to Italy to see how incumbent leaders can do well against a bevy of eurosceptics and critics, despite apparently endless economic stagnation. The British prime minister and the French president would find a country which likes young politicians who promise change. But there is more to the Italian story than the fact that Renzi has not been around long enough to disappoint. The suffering Italians were persuaded that Europe – including the undemocratic bureaucracy of Brussels and the fierce Germanic guardians of fiscal prudence – is actually a secondary issue to domestic reform. That could happen elsewhere. For all European politicians, the right answer is a firm commitment to create jobs. British leaders also need to build houses. Regulatory reform and improving competitiveness plays an important role, but looser fiscal policy and more government investment are also needed. Renzi now has the political support at home to persuade Germany and its allies to embrace policies that foster enthusiasm for Europe, not undermine it. 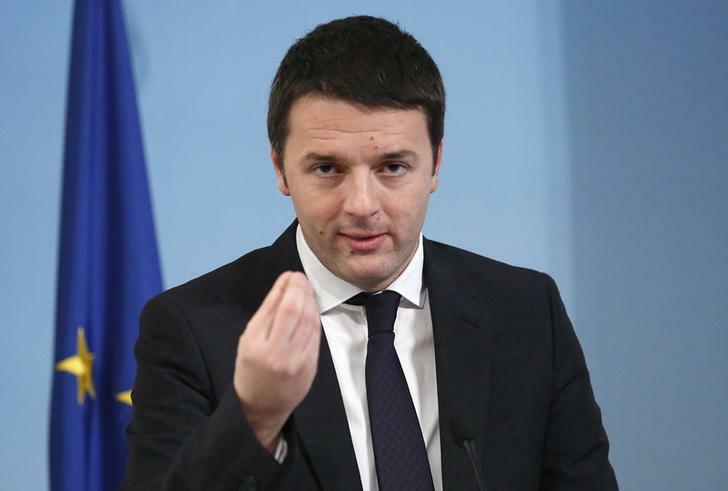 Italy's Prime Minister Matteo Renzi gestures as he leads a news conference at Chigi palace in Rome March 12, 2014. Italy’s Democratic Party won 40.8 percent of votes in European Parliament elections. The result is more than twice the draw of the other, leading parties, the Five Star Movement, and Forza Italia, who took 21.2 percent and 16.8 percent.